Sigma first ventured into the mirrorless space with the release of two lenses for Sony E-Mount and Micro 4/3 in January of 2012 with the 19mm f/2.8 and 30mm f/2.8 EX DN lenses. Around a year later, they released updated versions of these lenses with a new body style, and perhaps minor changes to coatings, though officially no optical changes were made. 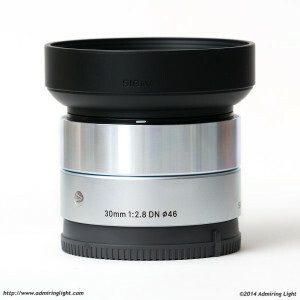 Today, I’m going to take a look at the newer version of the 30mm lens: The Sigma 30mm f/2.8 DN Art for Sony E-mount. This lens is relatively small, incredibly inexpensive, and provides a normal focal length with a field of view equivalent to a 45mm lens on a full frame camera. 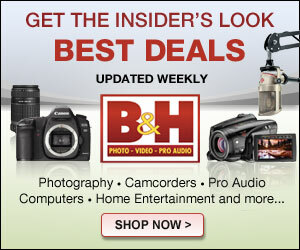 It also may be one of the better bargains in photography today. The Sigma 30mm f/2.8 DN Art ditched the matte finish black plastic exterior of the earlier version of the lens and has received a new body that is available in either black or silver. The version reviewed here is the silver version. The lens is constructed of a combination of high-grade plastics with a metal clad barrel and a metal mount. The bottom half of the lens barrel is covered in a thin metal (likely aluminum) and finished in a matte silver paint (along with an inset glossy ‘A’ for the ‘Art’ series of lenses). The top half of the lens is the extremely shiny metal clad focus ring. Having a perfectly smooth focus ring is a bit odd, but it works just fine. The fine silver finish of the focus ring looks beautiful in person, but is also exceptionally prone to showing fingerprints and it also seems to scratch rather easily (though the scratches sort of blend in a bit since the scratch is the same color as the finish. As a result, the lens normally doesn’t look as clean as it does when wiped down or when you first pull it out of the box. The front of the lens has the engraved focal length, aperture, filter size, etc, though unlike most lenses, this information isn’t filled in with white, but rather kept as a black relief. Overall, the lens feels tightly assembled, but falls short of feeling robust. You can tell there are a few corners cut to keep the cost down. Most noticeable is the fact that the focusing group for all of the Sigma DN lenses is a free-floating group controlled by electromagnets. As such, when the lens doesn’t have power, the focus group will rattle around inside. This doesn’t seem to cause any issues at all, but it doesn’t sound reassuring. The lens is small and the included reversible lens hood doesn’t add much to the size, ensuring that the 30mm will handle well on essentially any camera. One thing to note with this lens (and all the Sigma DN lenses) is that boot up takes a bit longer when these lenses are attached, depending on the camera. There’s an added 1-2 second delay upon turning on the camera before the lens is ready to go when shooting with the NEX-6. However, this delay is all but gone when the lens is mounted on the new A6000. The 30mm f/2.8 DN Art features a focus mechanism that is generally very quiet, but not totally silent. If you are focusing in a quiet room, you can hear a soft buzz when the focus motor is activated. Autofocus accuracy is pretty good, hitting the target dead on in the majority of situations, though I did have a few times where there was some slight backfocus. I’m not sure whether to blame the lens or the camera for that, though. The speed of autofocus is a bit of a letdown. It’s not particularly slow, but it certainly isn’t fast either, taking between a quarter and a half second to lock focus in most situations. Hi, I am planing to Buy Prime lens but i am confused if i buy sony 35mm 1.8 or sigma 30mm 2.8, i don’t want a lens of 50MM 1.8 coz it will be difficult to shoot in smaller place. is the sigma 30mm 2.8 is same as 50mm 1.8 on sony A6000. 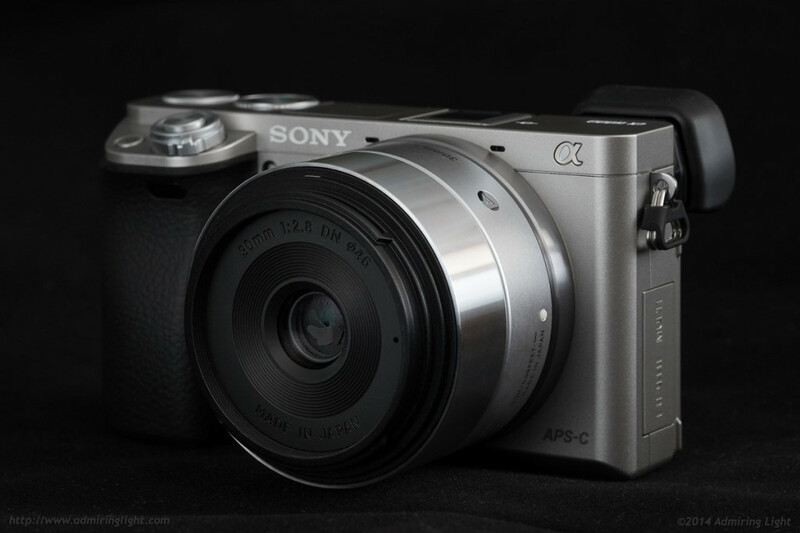 The A6000 will crop every lens attached to it so the 30mm lens from either Sony or Sigma will look like a 50mm. The 50mm lens would look like a 75mm So you are right to want the 30mm in tight spots. Jordan, on the 30mm DN Art, I have heard that the lens does not work well with the Phase detection auto focus on the A6000, have you experience with this? Unless it was the old model and Sigma has fixed it. Thank you! What is meant by f/2.8 @ f/5.6? Considering DXO reviewing, the older 30mm is apparently sharper than the newer Art version, what do you think about this ? Does it support phase detection AF for continuous shootng? Could you compare this lens and 28/2 on APS-C?